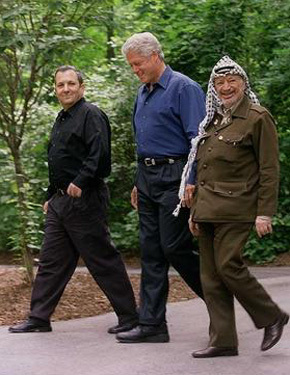 In July 2000, U.S. President Bill Clinton announced his invitation to Israeli Prime Minister Ehud Barak and Palestinian Authority Chairman Yasser Arafat to continue their negotiations on the peace process at Camp David. The Summit began on July 11 and ended on July 25, without an agreement being reached. A Trilateral Statement was issued defining the agreed principles to guide future negotiations.